Imagine++ libraries are tested with Microsoft Visual Studio 2015 and minGW32, for which binaries are provided through installers. Visual Studio 2015 is free and can compile 32 and 64 bits programs. Programs compiled in 32 bits still work on Windows 64 bits. Choose the latest Qt version and the MinGW 5.3.0 compiler. 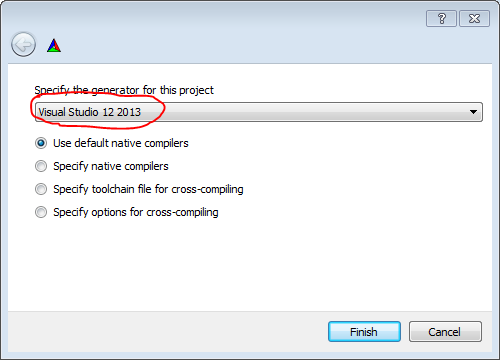 install Visual Studio 2015, Community (https://www.visualstudio.com/en-us/downloads/download-visual-studio-vs.aspx). 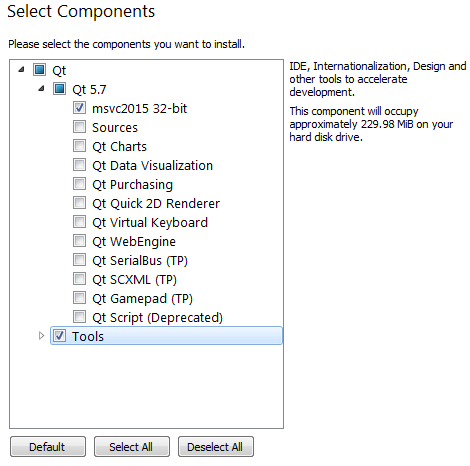 install Qt5, 32 bits or 64 bits, for VS2015. 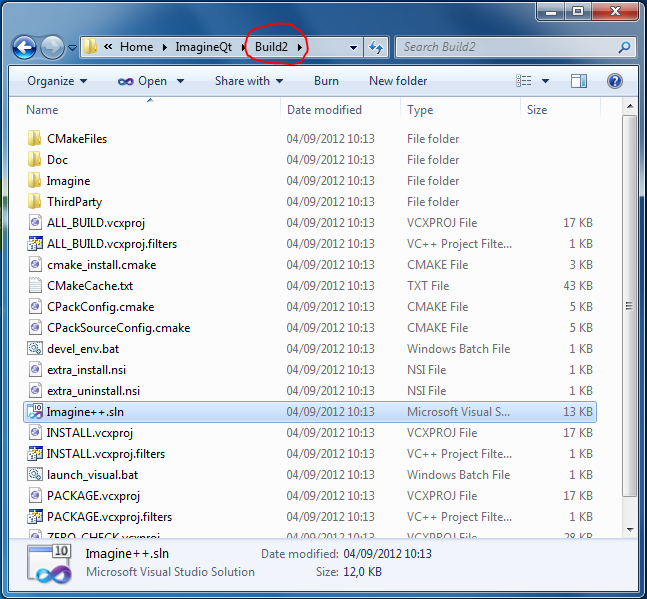 Even if your Windows is 64 bits, you can still install the 32 bits version of Qt5. Install the minimum (Tools should be optional, but its unselection does not seem to work: installer bug?). 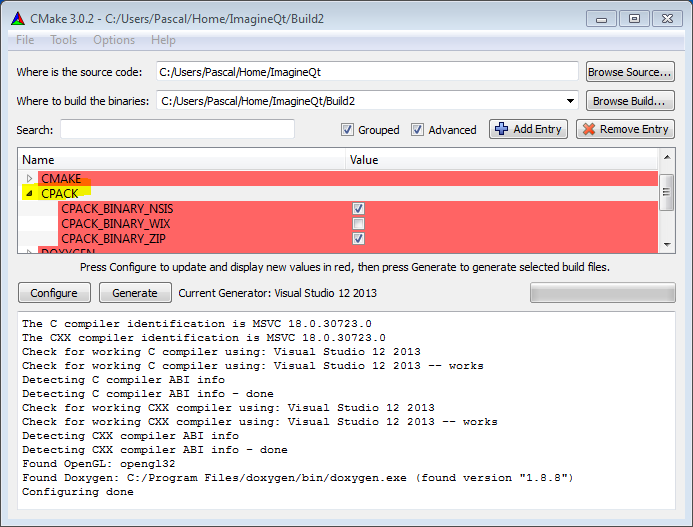 install the corresponding Imagine++ package. 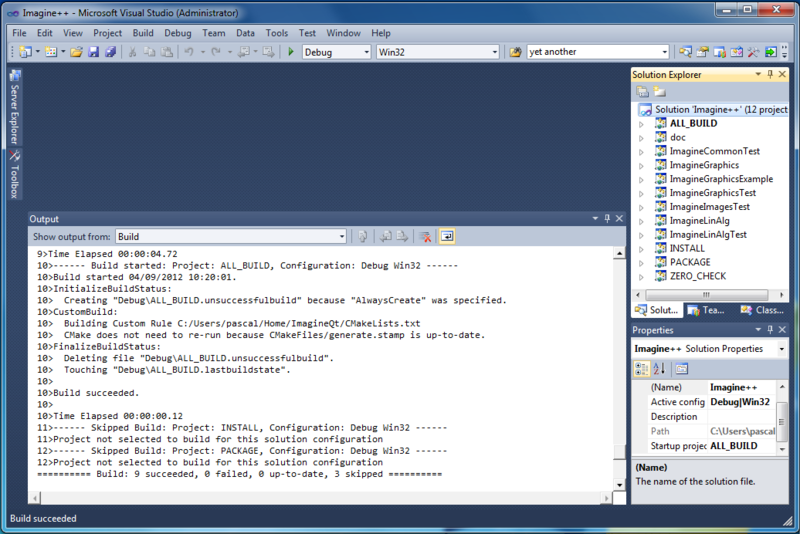 find the location of QtGui5.dll in the installation directory of Qt (it should be in a subfolder called bin, such as: "C:\Qt\5.7.0\5.7\msvc2015\bin") and add this path to your PATH environment variable (Setting variables under Windows). 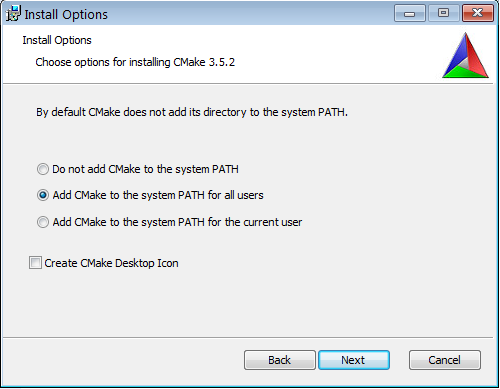 Also create an environment variable CMAKE_PREFIX_PATH and set it as "C:\Qt\5.7.0\5.7\msvc2015\lib\cmake". 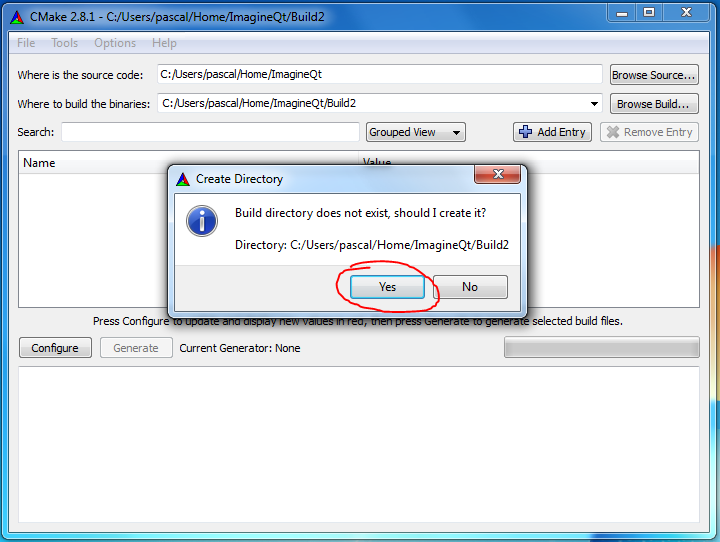 Extract the archive in some location, and put the full path of the Imagine++ directory in the Imagine_DIR variable (Setting variables under Windows). 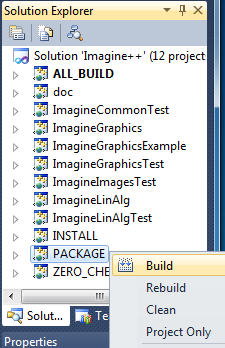 If you need to recompile Imagine++, follow these steps. If the process fails somewhere, please check Troubleshooting. Get the sources here http://imagine.enpc.fr/~monasse/Imagine++/downloads/Imagine++-4.3.2-Source.zip and decompress them. You should already have Visual, CMake and Qt installed (see Requirements). Use CMake to generate solution (file with extension .sln). Opening this file launches Visual. After clicking 'Generate', the solution project is created in the build directory. Select the Debug mode and build (F7). Select the Release mode and build again. 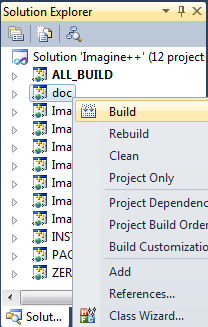 Optionally, right click on the 'doc' project in the 'Solution explorer' window and build it (this needs doxygen installed). 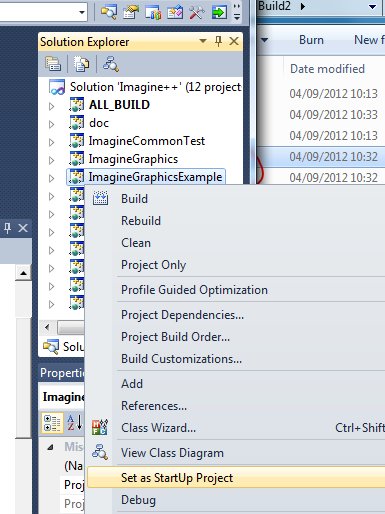 Right-click on the 'PACKAGE' project in the 'Solution explorer' window and build it. This creates the binary archive (extension .zip) and the NSIS installer (.exe). You're done! 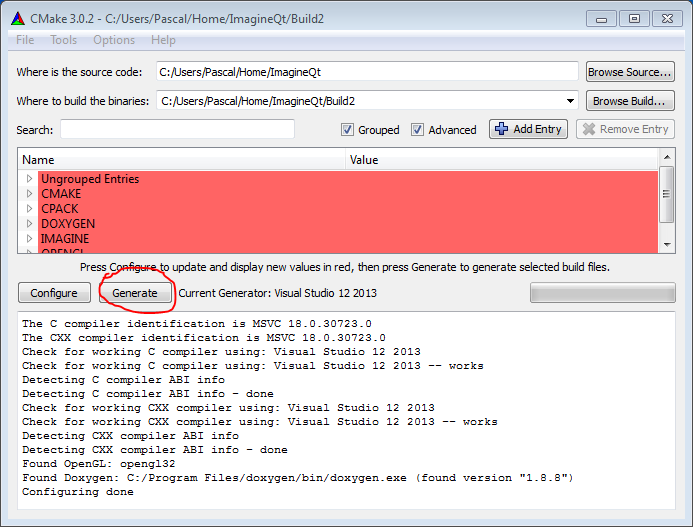 Follow the steps above to actually install Imagine++, using either the installer (exe) or the binary package (tar.gz). Go to Usage and check the tests.